OTTAWA - A government executive who worked on alleviating poverty around the world lacked judgment and wilfully broke the rules in order to run a private business out of a government office, an investigation has found. The executive, a director general at the Canadian International Development Agency, used government employees and equipment to help run a consulting business, the public integrity commissioner concluded in a report Tuesday. The executive had been with CIDA for nearly 10 years and was well aware of the rules in place guiding his behaviour, Mario Dion said. "Which makes it completely unacceptable," Dion said in an interview. "It was not an oversight." The investigation began after a complaint was filed in 2010 accusing the executive, who is not named in the report, of using office resources such as fax machines and a government email address to conduct private business. The individual also recruited administrative staff to assist in the job, which essentially was consulting to the private sector on the same subject matter the individual worked on in government, Dion said. The investigation, which covered two years of records, confirmed the allegations. "The DG's actions constitute gross mismanagement in the public sector by the repetitive and persistent nature of his use of CIDA assets, time and personnel to conduct private business activities and the wilful and deliberate nature of his behaviour," the report says. The unnamed executive left the agency while the investigation was underway. A spokeswoman for CIDA said the agency did not suffer any financial losses. "The information gathered during this investigation did not reveal anything to suggest that private business contracts were awarded to the individual based on anything other than his level of expertise in the areas of poverty and sustainable livelihoods, which was evident prior to him becoming a CIDA employee," Amy Mills said in an email. 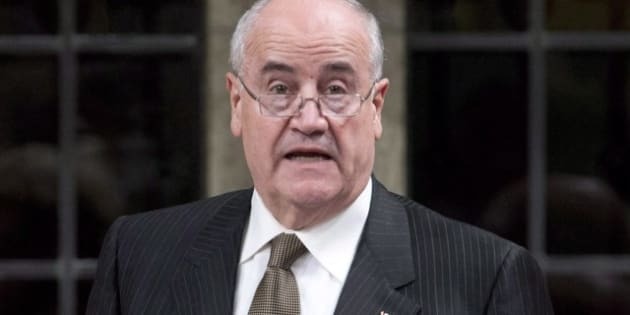 International Co-operation Minister Julian Fantino said the abuse of resources would be documented on the individual's record. That means should the executive seek contracting work with the federal government, any prospective employer would be aware of the report. "There were rules in place but this individual broke them," Fantino said in a statement. "This misuse of time and resources is completely inappropriate." The investigation found no widespread problems at the agency, just a single person who broke the rules. The agency's president promised to take steps to prevent similar incidents from happening in the future, Dion noted. Dion's office does not have the power to issue penalties or fines when they find cases of wrongdoing, and can only refer the matter to the department in question. That's unacceptable, said NDP Treasury Board critic Mathieu Ravignat. "Ultimately, whether or not the person is still in the public service or not shouldn't matter," Ravignat said. "The act should allow us to find information and investigate those that have left the public service, maybe for a period of a number of years." Financial management at CIDA has come under scrutiny in the past, most notably the case of former minister Bev Oda, who billed thousands in questionable expenses to taxpayers. She left politics last year and was replaced by Fantino. On its website, CIDA also notes a case in which not-for-profit organizations were wrongfully receiving payments. The case came to light following a disclosure of wrongdoing and the incident was blamed on the failure to conduct appropriate oversight on spending. "In response, CIDA has taken remedial measures including the reassignment of the employee to other unrelated duties and is pursuing repayment of relevant amounts from the non-for-profit organizations," the statement said. The statement gives no indication when the case took place, but a whistleblower group has linked it to an incident from 2007-2008. Ravignat said he is concerned there is a culture at the agency that is out of step with the aims of the whistleblower legislation. He noted the recently revised code of value and ethics in the department, which reportedly stresses that employees are not to criticize the agency. "CIDA is creating rules that put into question the fundamental ability of public servants to make sure that their departments are ethical and act in the proper way and respect taxpayers' funds," Ravignat said. The government has said the new code does not prohibit employees from filing a report with Dion's office. Tuesday's report is the third since Dion took over as commissioner in 2010, following the high-profile departure of his predecessor. Christiane Ouimet retired just prior to an auditor general's report slamming her office for essentially failing to do its job. Since it opened in 2007, there were just seven investigations before she left in 2010; Dion currently has more than 40 underway. "Speaking up about matters that involve wrongdoing by upper management can often be difficult," Dion said in a release. "It is encouraging that public servants are trusting the system and coming forward to my office with these types of disclosures."